Target is trying a new ad program it calls "Cartwheel" on Facebook that it hopes will bring users of the social network into its stores, and away from online retailers such as Amazon. The Cartwheel approach is relatively simple: a Facebook user can decide to take advantage of an advertisement that crosses his or her news feed, and can then take that deal, in the form of a QR code, to use it as an in-store coupon. Here's where things get social: Target also hopes that users will share the deals, which will ultimately boost the number of eyeballs that its sales land in front of. It's unclear right now if Target is also working with Datalogix, which Facebook partners with to see how often people on Facebook actually walk into a store and buy a product that appeared in a user's news feed through an advertisement. 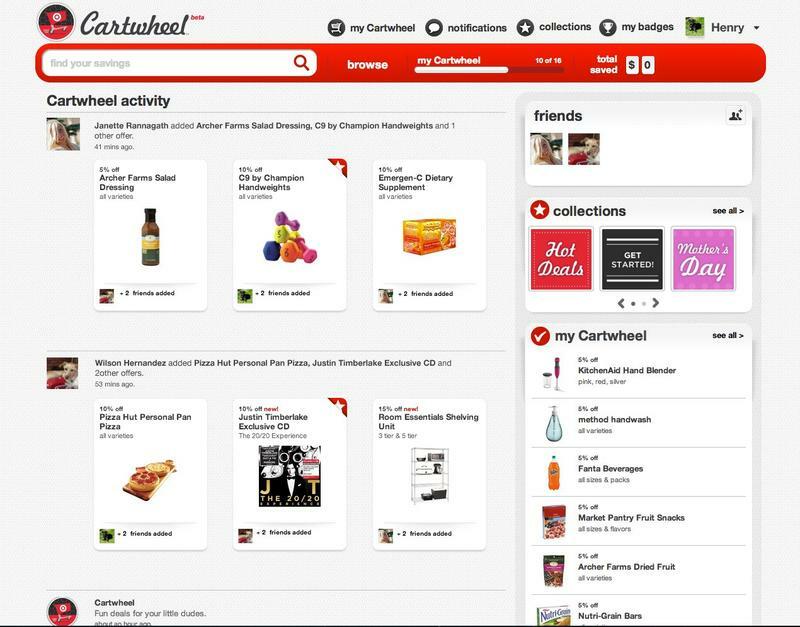 Cartwheel is available in beta form starting today, Reuters said. Customers who hold Target cards and are labeled "best shoppers" will receive emails of the new service. You can get started yourself by heading to Facebook and searching for "Target Cartwheel," too. Target plans to offer sales for 5 percent to 40 percent off of products in weekly, monthly and quarterly time periods, Reuters explained (though Target's own website says it maxes out at 30-percent off). They will not be the same deals that users will find through other advertising means and are exclusive to its Cartwheel program.